This project provides a bespoke strategic plan, supported by a programme of practical, nature-based solutions, in response to the effects of climate change on Madrid. The landscape-led project is designed to benefit all citizens, communities, workers and visitors to the city and help the city anticipate, and deal with, future change. Arup’s landscape architects worked closely with its research team to run a series of workshops which were essential for understanding the way that the city works and what interventions could and could not succeed. Many were on a small scale but have a big impact. The team produced a ‘vision map’ for the city, pinpointing the potential changes that could be made and providing a common focus for developments. The project demonstrates how other cities could tackle the effects of climate change in a practical way that would also improve the quality of life for citizens and visitors. The effects of climate change within the City of Madrid are creating huge challenges which are set to increase in the future. This is impacting on the quality of the city, its places and daily conditions. The city recognised that a new approach was required to create a more resilient, more attractive and healthier Madrid for its residents, communities, workers and visitors. With an economy that relies heavily on tourism, the economic ramifications are particularly critical. Arup designed the strategy to respond to particular challenges around city heat, providing resilience to flooding and water management, drought and water availability, air quality issues, and to changes in ecosystems and biodiversity. Madrid + Natural demonstrates the importance of the profession of landscape architecture leading on nature-based solutions to develop large-scale strategies and solutions that deal with the contemporary issues of our time. In this case, our project responds to the huge impact of climate change on living conditions and the quality of life in our cities into the future. Arup’s leadership and thinking helped steer the project towards a strategy plan that enables stakeholders across the city to work together in collaboration (across normal divides) to focus investment and energy towards a common goal. The range of interventions agreed are practical, and can be enacted collaboratively by a wide range of stakeholders from the local authorities, developers, community groups and locals. 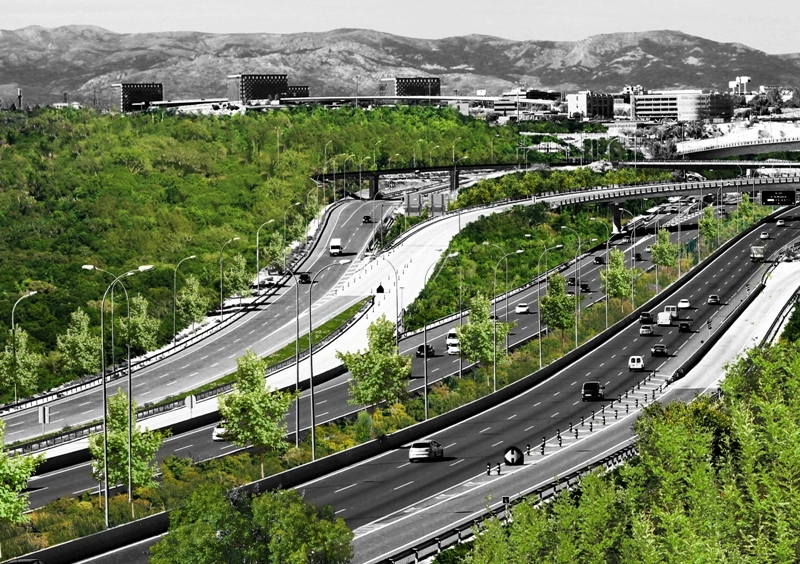 Many of the Madrid + Natural interventions are small in scale, but many small scale interventions will make a significant impact across the city over time and will spread investment. This enables citizens, businesses and authorities to create a better prepared, more attractive and healthier Madrid for its people and communities. The strategy also emphasises the importance of landscape architecture as a ‘high performance infrastructure’ – working in a multifunctional way to deliver both attractive and resilient environments into the city.